JustWorkGloves are the UK's leading online specialist in work gloves and safety gloves. 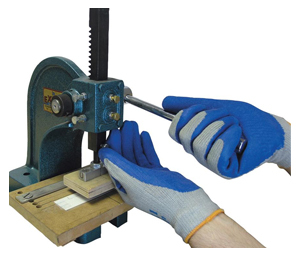 Our extensive range provides a wide array of gloves for all manner of tasks and applications. Our fantastic low prices allow our customers to save more on the work glove essentials they use most and need to carry out day to day tasks safely and precisely. We offer extensive discounts to customers looking to buy in larger quantities - the more you buy, the more you save! We believe all of our customers should be able to make an informed decision on thier choice of work gloves. This is why, for all our safety gloves, we provide you with advice on what each kind of glove can be used for, as well as technical specifications and an easy to use size guide to assist you in finding the perfect choice of work glove for you. Whether you need Cut Resistant Gloves, Gripper Gloves, Mixed Fibre Gloves, Rigger Gloves, General PPE or even First Aid Supplies, we are sure you will find the ideal product in our range. In the unlikely event that you cannot find what you are looking for, simply call our friendly sales team on 0800 1777 118 to discuss your requirements further. Lowest Online Prices: We aim to offer the lowest prices on work glove essentials so our customers can stock up for less. 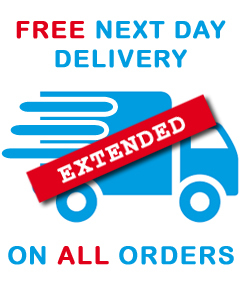 Next Day Delivery: All orders for stock items received before 4:30pm will be delivered next working day. Free Delivery: We offer Free Delivery on orders over £50 (excluding VAT & Carriage). 30 Day No Quibble Guarantee: If you are at all dissatisfied with your order simply call us on 0800 1777 118 to arrange collection and a full refund.